Narrated by… insert your name! 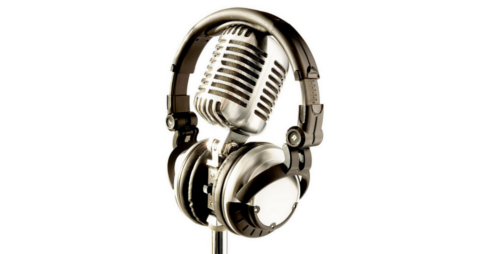 If you are a professional audio book narrator, storyteller, actor, stage-theater actor, comedian, performer, a musician who enjoys reading out loud, a celebrity, or famous with an instantly recognized voice who would like to read and produce audio books, please contact us. We are also inviting new, aspiring voice actors, voice acting students, adults new to the industry and those returning to the entertainment industry. We believe each read is a performance, if you have the skills and love to read, please contact us. We are predominantly a booking agency, we promote and obtain work for our talent. Entertainment Depot does not charge narrators a listing free. It is free to list. We do reserve the right to list narrators we feel will be successful. We manage the narrators promotional pages, inquiries, quotes, bookings and payments. Narrators are paid per ‘completed finished hour’ of the audio book. Narrators are responsible for the provision of professional sound samples for Entertainment Depot, at their own cost. Should the author/rights owner request a sound sample reading directly from the book, an audition, the narrator will supply at their own cost, unless otherwise payment is arranged with the author/client. Once the narrator is booked, it is essential they have read the book entirely before arriving in the recording studio. Made notes, as a professional in the recording studio, to minimize studio time and editing. Entertainment Depot deducts the agreed upon agency commission from the narrators payment/s and the balance is EFT’d to the narrator asap. Within 7 days, if Entertainment Depot has received full payment from the client. NB from the author, publishing house: we request a 50% deposit with the authorized confirmed booking, with final 50% payment on completion of the audio book to ensure narrators are paid in full for their services. Authors/rights owners and publishers decide on the narrator/s they wish to hire. Entertainment Depot is not involved in the final decision making process. We act purely as booking agents for the narrator/s and as consultants for authors/rights owners. We require voices for every category book. All book genre’s. All ages. All genders. High, medium and low ranges, everything. Why? Some audio books will require multiple voices for different characters. Only your sound samples are displayed, because that is what we are selling, your voice. We see no need to display your image. About you: This information will not be available to the public. Please email your bio, info, narrator experience etc in a word doc. Please tell us your age, as we need to place you in the right category, young, mature, etc. Advise us on the categories/genre’s you are not interested in. We display info of your experience, preferences, book categories that you like and.your favorite author’s books wish list. Size: minimum 1 x one minute to five minutes (the maximum) sound sample, preferably reading a book or script. We prefer 3 x one minute samples. Each narrator is allocated a maximum of 5 minutes total. MP 3’s can be emailed, sent as an attachment OR provide us a link. MP 4’s: please provide us with a link. There is no need to introduce yourself in new samples made for us, we prefer all sound samples do not contain the narrators name. Option not to display your sound sample: please advise if you do not wish to be listed publicly on our ‘Voices’ pages, but would like to receive inquiries, we have our own ‘on request only’ VIP database. You will be promoted/recommended personally, in-house directly to authors.